Maybe painting those bullet holes on the nose wasn’t as good as putting a nice World War II style pin up. Talk about demoralizing the pilot! Have a great week and thank you for stopping by the site. 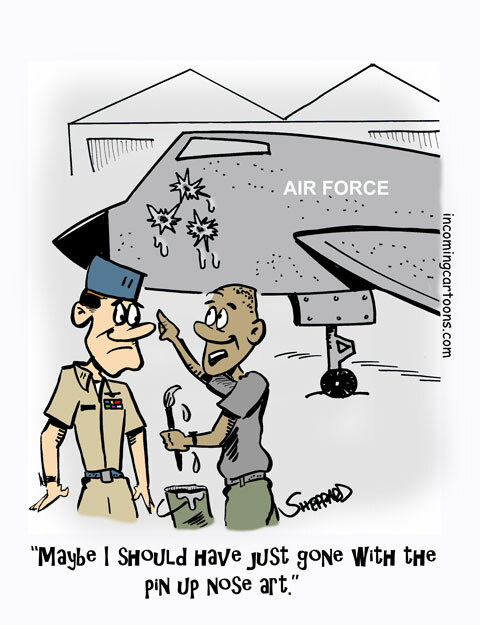 This entry was posted on Tuesday, November 6th, 2018 at 12:00 am and is filed under Cartoons. You can follow any responses to this entry through the RSS 2.0 feed. You can leave a response, or trackback from your own site.